Barkzilla: A Savvy NYC Dog Blog: Oscar de la Renta Goes to the Dogs! Um. Oh my dog. Oscar de la Renta has launched two gooorrrgeeeouss pieces of pooch apparel. Swoooon. While these two plaid numbers are going to set you back a hefty sum ($250 for the black and ivory, $300 for the navy and black), we have a feeling they will be flying off shelves. 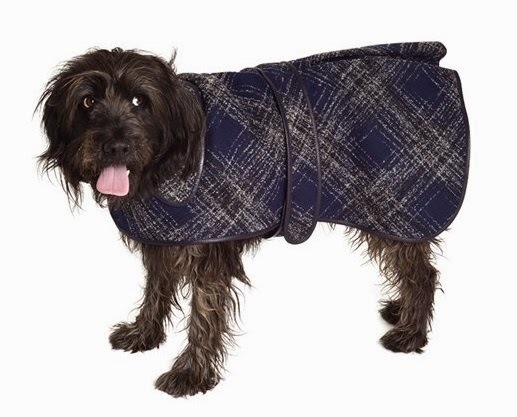 A blend of wool and cashmere, the coats appear to be in limited sizes so if your dog is a medium or XXL, head there now! 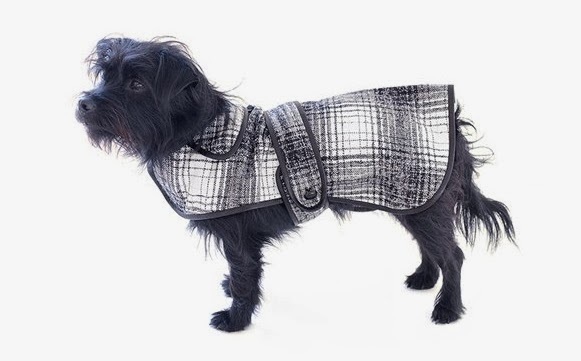 These are adorable Oscar de la Renta dog jackets for the fashion minded. Thank you for sharing these stylish jackets so we can look great walking down the streets of New York City! For real people with real dogs you should check out https://performancedogwear.com. It's better than Oscar de la Renta and less expensive. You will look stylish in a weatherproof, lightweight, durable coat walking down the street. Heads will turn!